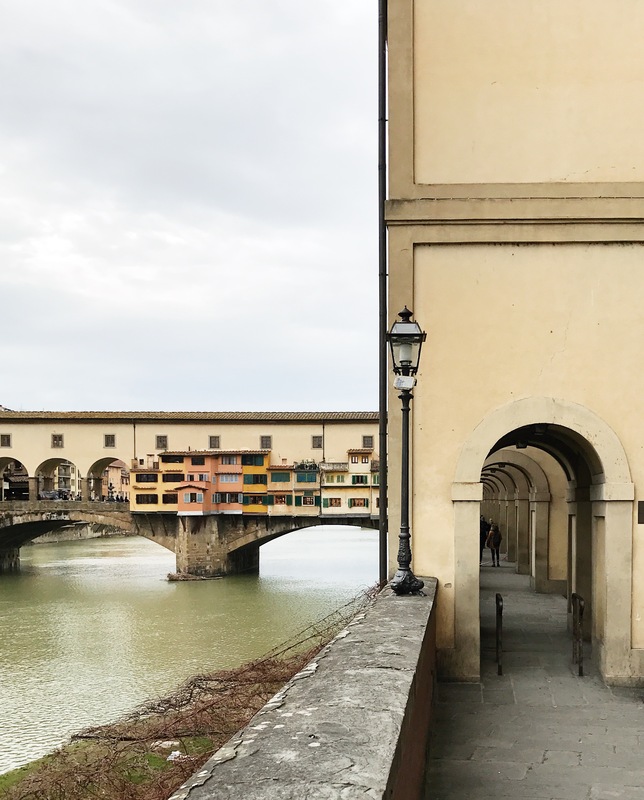 I spent a month in Florence during my undergrad. It was June, right before the tourists rushed in for the summer. The air was warm and the streets were aglow with the bright summer sun. 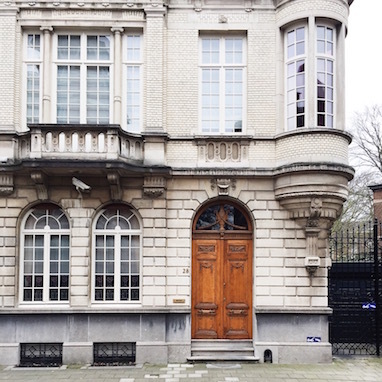 For four hours every day I studied Italian at a local language school. The rest of the time was mine - and I enjoyed every minute of it. 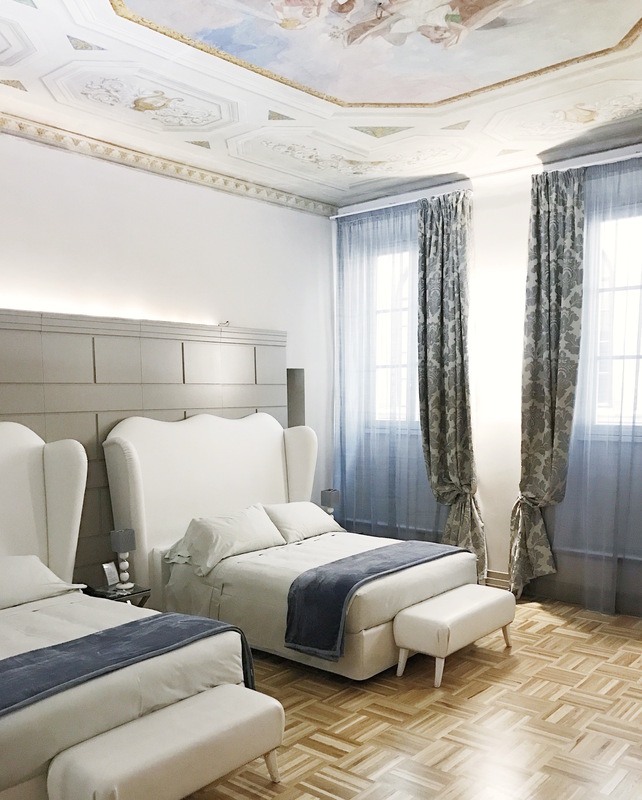 Then a few months ago I was contacted by Hotel Firenze Number Nine, inviting me to visit Florence for a weekend and stay at their beautiful wellness hotel in the city center. I immediately said yes, I couldn't wait to get back. We were welcomed with half-hour massages at Arya Beauty & Comfort Zone, a true oasis in the city center located in the gym facilities next door to the hotel, and continued to enjoy the wellness center, complete with a sauna, whirlpool and steam room until we felt our stomachs begin to rumble. We headed out and walked those familiar streets from the Duomo to Piazza della Repubblica and Piazza della Signoria, through the corridors of the Uffizi Gallery and along the Arno River to the Ponte Vecchio and finally to local restaurant 4 Leoni (Via de' Vellutini, 1r) for a traditional dinner; our favorite was the coccoli, prosciutto e stracchino (fried dough balls with dry-curated ham and a soft cheese). Every morning we woke up to the sun shining through the curtains (the original painting that adorned the ceiling in our hotel room wasn't a bad sight either!) 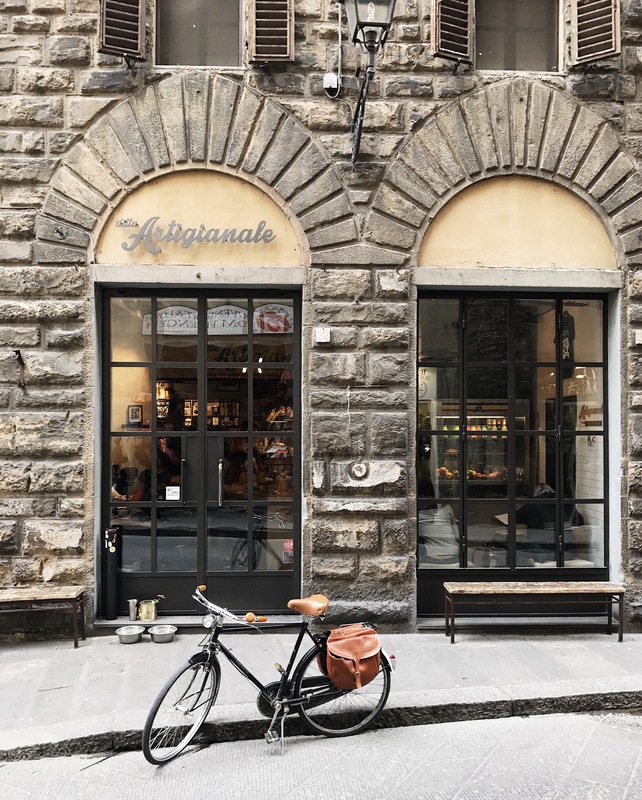 After breakfast at the hotel, we made our way through the city, enjoying long walks along the Arno River, coffees at Ditta Artigianale (Via dei Neri, 32/R and Via dello Sprone 3/5/R), delicious lunches at 5ecinque (Piazza della Passera, 1), and ice creams at Gelateria Dei Neri (Via dei Neri, 9/11). 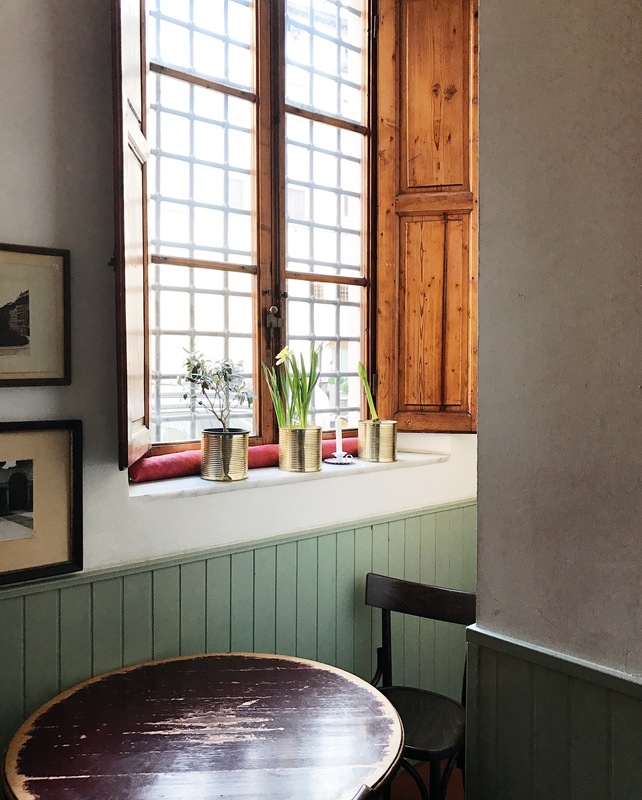 We loved La Ménagère (a flower shop, restaurant and cafe, and shop in one; Via de' Ginori, 8), the vintage-look bakery S. Forno (Via Santa Monaca, 3r), browsing the stalls at the Mercato Centrale, and indulging in glasses of red wine and platters of Tuscan cheeses at Il Santino (Via di Santo Spirito, 60/R). Our days were long and we took them slow. We spent one afternoon at the Boboli Gardens, not as green as we remembered from our last time there, but beautiful anyway. 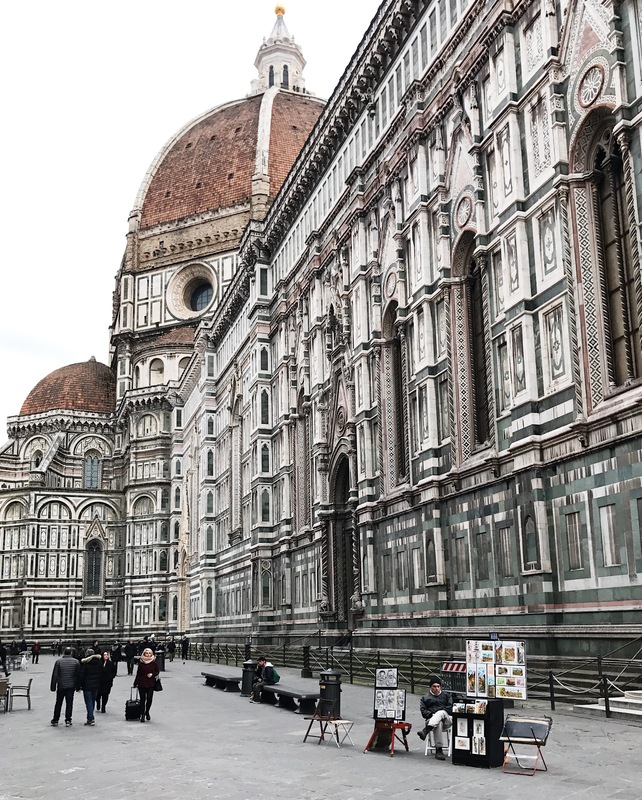 We could see the dome of the Cattedrale di Santa Maria del Fiore, otherwise known as the Duomo, above the Florentine rooftops and in an instant, I felt transported back to that one summer in June. 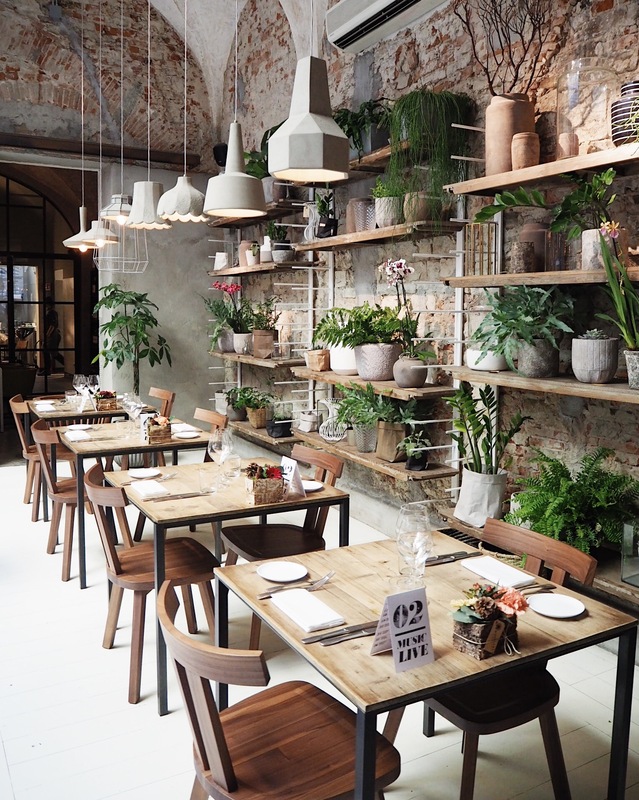 While it was lovely to explore the new cafes and restaurants in town, Florence, like much of Italy, will forever stay the same. A special thank you to Hotel Firenze Number Nine for the invitation and for treating us so well!